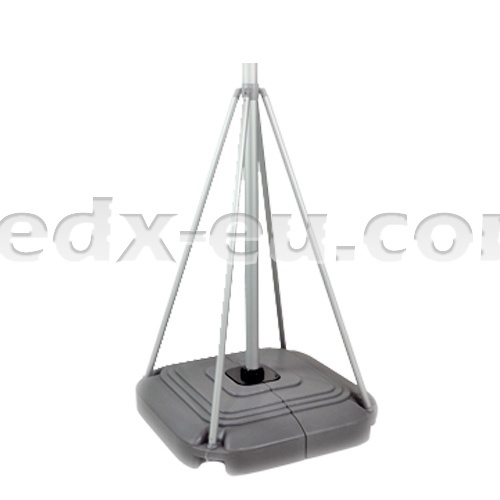 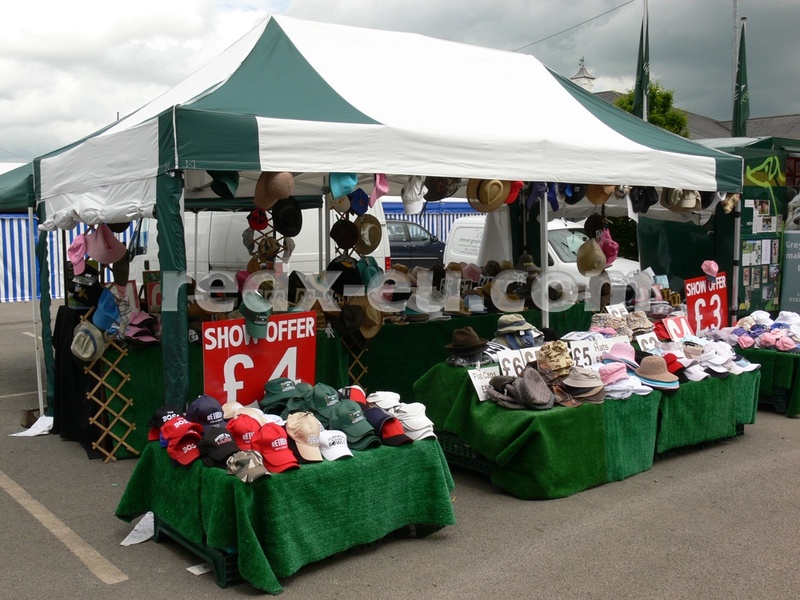 GIANT TELESCOPIC FLAGS come supplied with a heavy duty anchor base and carry bags for both the base and the poles. At 5.4m overall height these flags offer maximum exposure for your products and services. 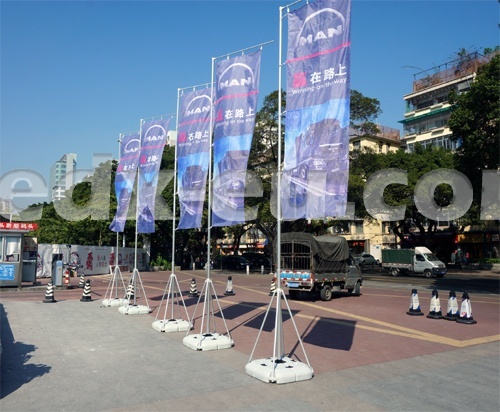 Simple telescopic pole system means these flags are user friendly and take only minutes to assemble. 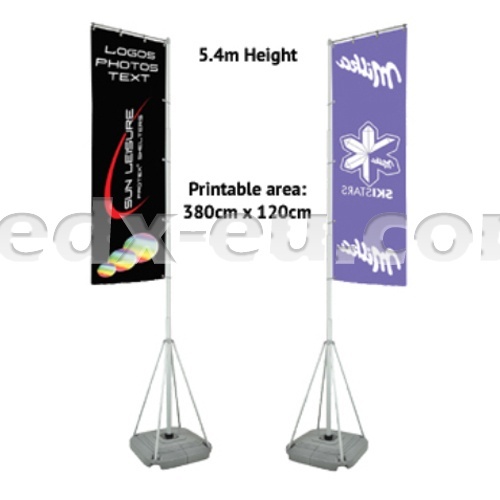 Using digital dye-sublimation print technique means, that any colour, logo, text or even photograph can be printed on the fabric.